Qualcomm announced the Snapdragon 845 processor on 6th December and today; the company revealed all the specifications of the new chipset. There is no doubt that next year, flagship smartphones from companies like Samsung, Google, Xiaomi, OnePlus, LG, etc. will be powered by this new processor. There are some significant changes in the new Snapdragon 845 processor and in this article, we will be talking about all the specifications of the newly launched smartphone processor. It was rumored that Qualcomm would use the 7nm manufacturing process for this new chipset, but that might be happening with Snapdragon 855 which will launch by the end of next year. As for the 845, Qualcomm is sticking with the 10nm FinFET technology. It is an octa-core 2.8GHz processor with eight Kryo 385 CPU cores. Due to this new CPU, it has gotten a “25% performance uplift”, as per the company. Among those eight cores, four are based on the Cortex A75 (up to 2.8GHz) & are for the performance while the rest of the four are based on Cortex A55 and have a clock speed up to 1.8GHz. Qualcomm also announced a new series of GPUs for the flagship processors. 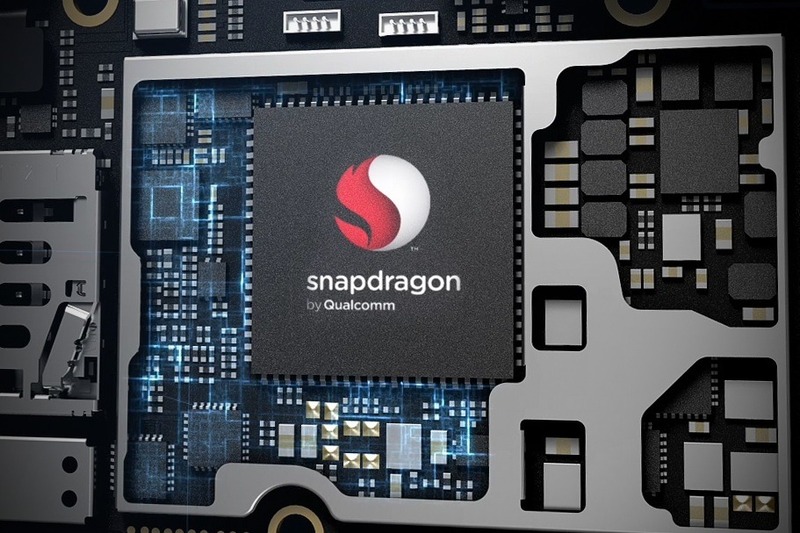 The new Snapdragon 845 features all new Adreno 630 GPU that is 30% better regarding graphics and power efficiency than the previous generation. The new processor supports up to 2X 2400×2400 display, running at 120Hz. We have seen chipsets from Apple and Huawei with integrated Neural Network unit and the Snapdragon 845’s Hexagon 685 DSP supports AI processing. The new processor also comes with Qualcomm Quick Charge 4+ support that will let you charge your device up to 50% in just 15 minutes. With the SD 845, the company also announced the all-new Qualcomm Secure Processing Unit. It is made to help protect personal data with vault-like security. Biometrics used for authentication can be stored in isolation, helping to keep precious data out of prying eyes. Thanks to the all new X20 modem, the peak download and upload speeds can reach up to 1.2 Gbps and 150 Mbps respectively. Xiaomi’s CEO has already confirmed that this new chipset will power company’s 2018’s flagships, but we expect to see the Snapdragon 845 on Galaxy S9 first. Do let us know what do you think of the specifications of Snapdragon 845.